Yes! Without YOU There Would be No Way! Thank you for visiting our 2018-2019 Without YOU There Would be No Way campaign page! 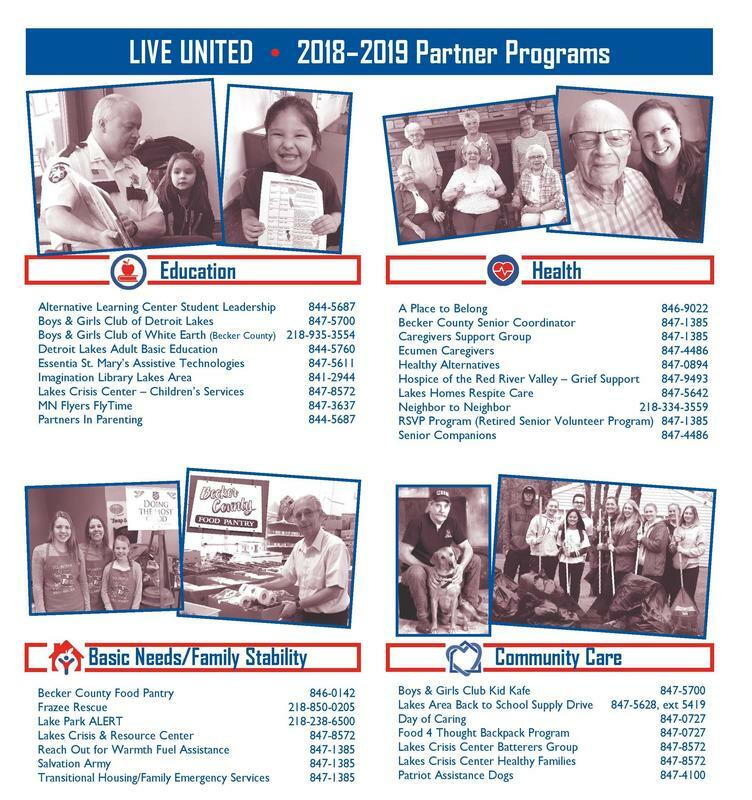 When you give to the United Way of Becker County, the whole community gets to keep the change! Together we are changing the story of many people who live in Becker County! Assistance for 2 seniors to stay independent in their own homes. 6 families of four with food for a month. A book delivered each month to 6 children. A low-income person help to develop the financial knowledge and skills they need to move out of poverty. Access for resources for 10 people working to get their GED. Help to 8 youth with mental health issues improve their coping and social skills. A veteran with a backpack filled with supplies for his PAD dog. **Business Leadership Giving Starts at $500.